We have released VisualGDB 5.0 Beta 3! 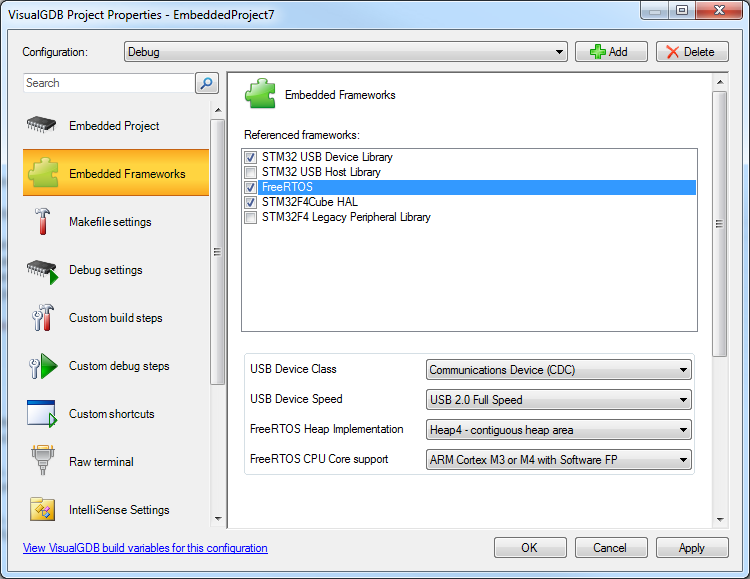 This release focuses mainly on usability features for embedded projects that have been requested by the community. We have also made it much easier to share VisualGDB projects between different users. Toolchain paths are no longer fixed as long as you mark your toolchain as relocatable and the BSPs can be moved to an arbitrary location and placed under source control. Finally we have enhanced the “Cycle Clipboard Ring” command: pressing Ctrl-Shift-Insert while editing a source file from a VisualGDB project now displays the history of the recent clipboard contents with a search function: You can download the new beta here or read the full list of new features here.